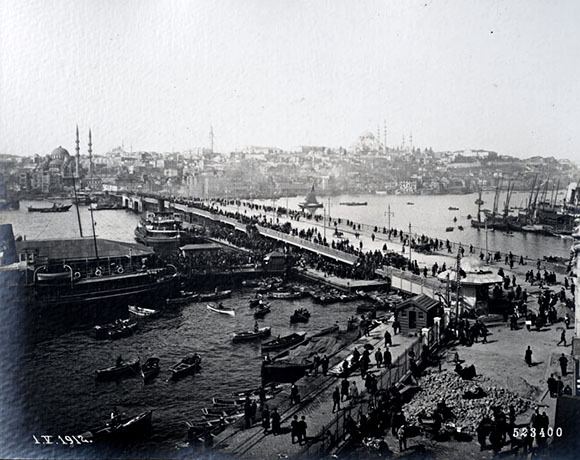 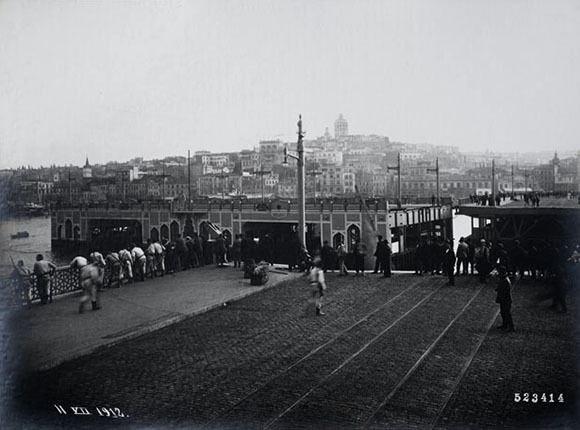 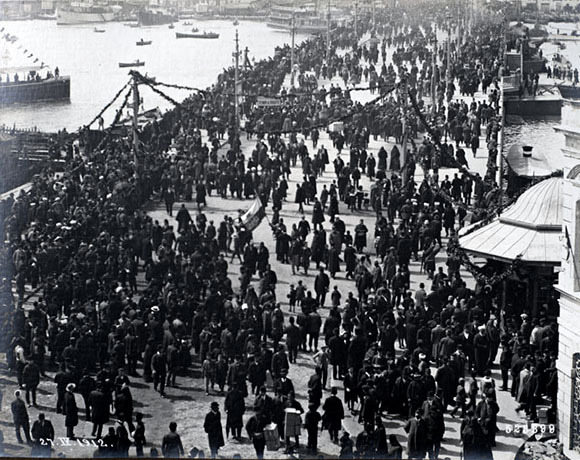 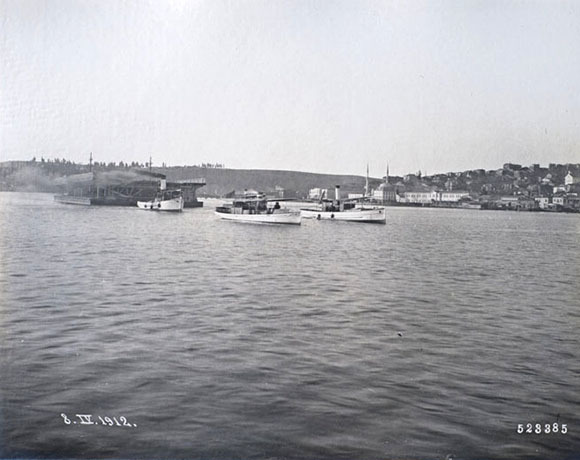 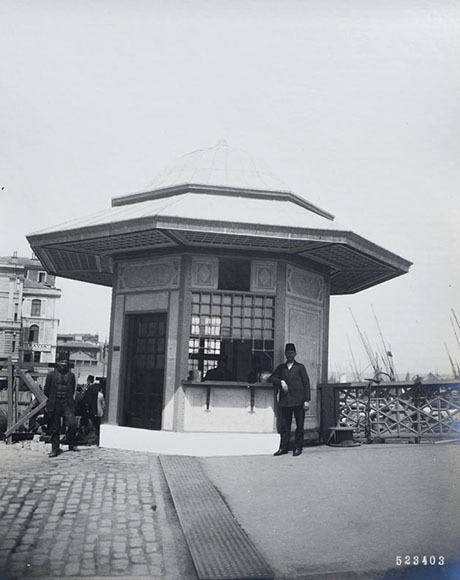 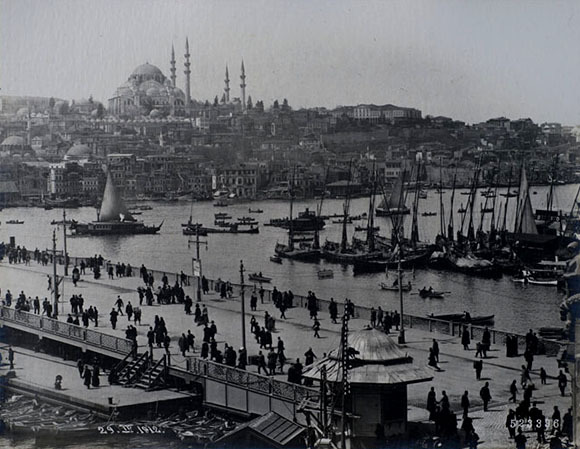 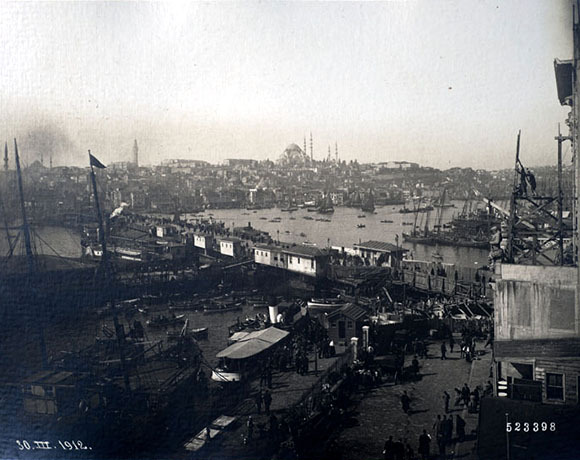 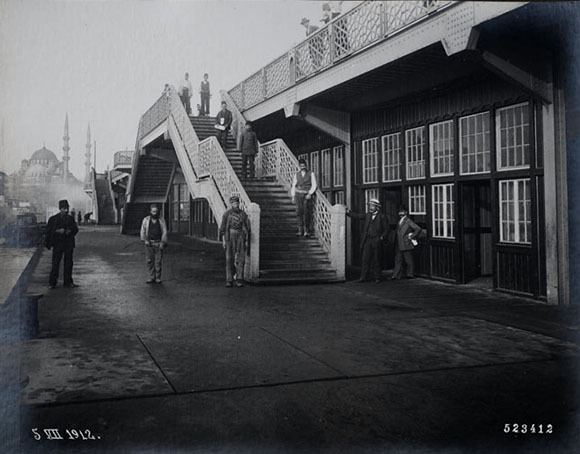 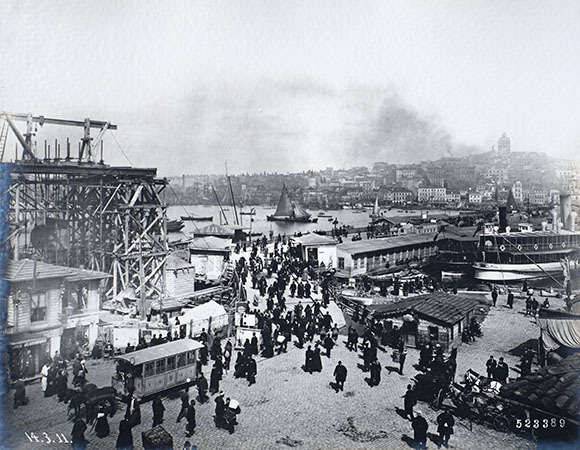 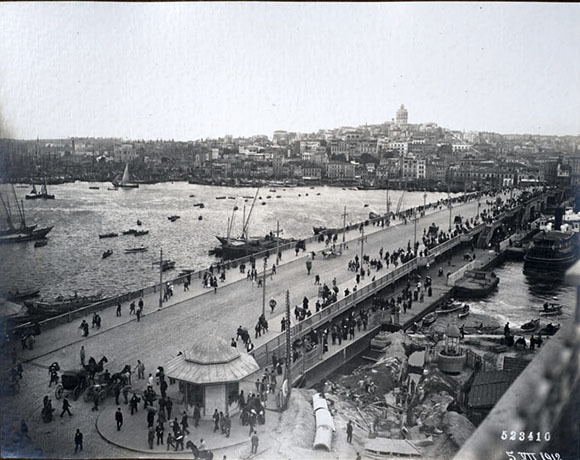 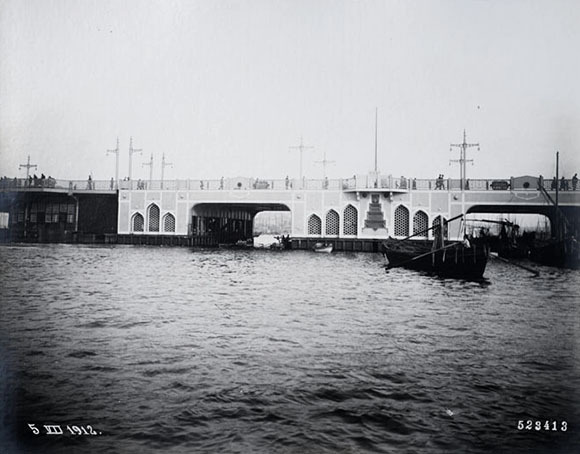 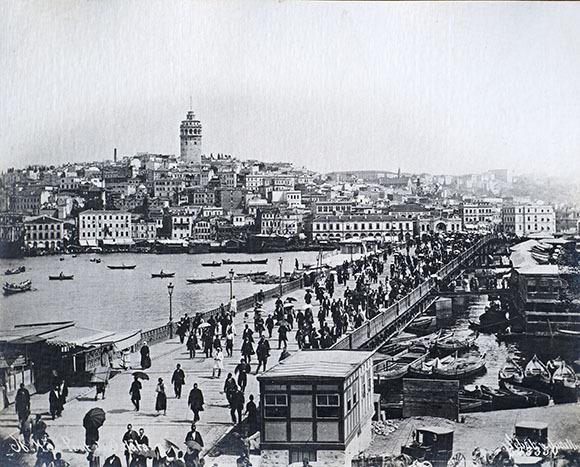 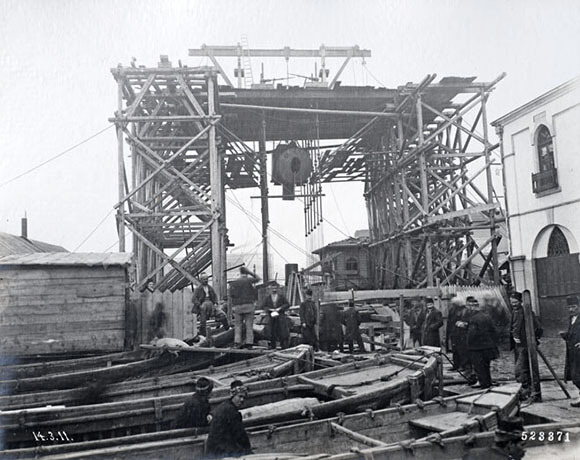 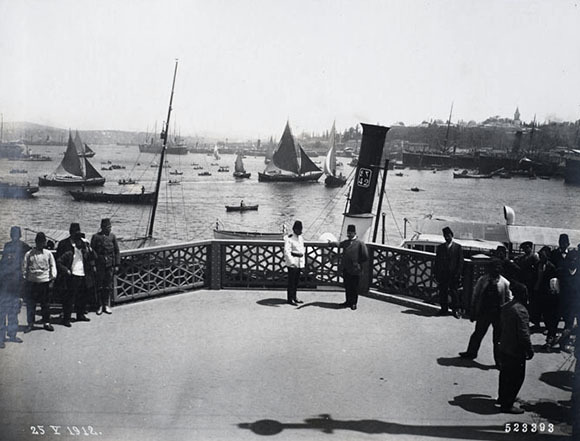 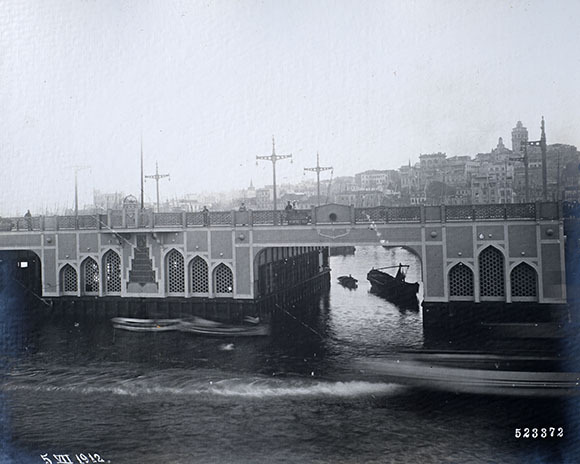 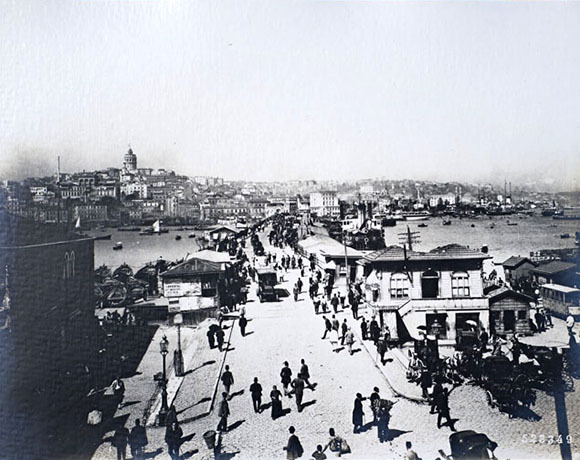 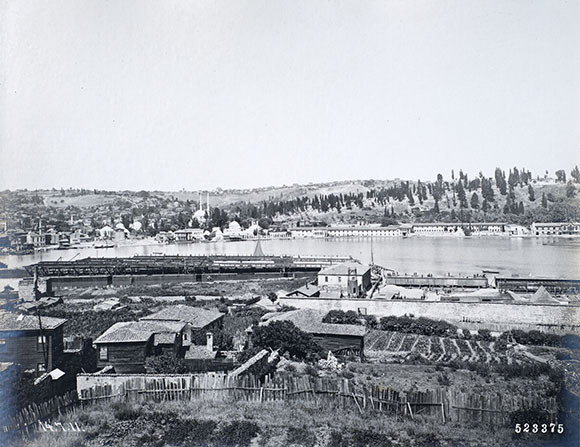 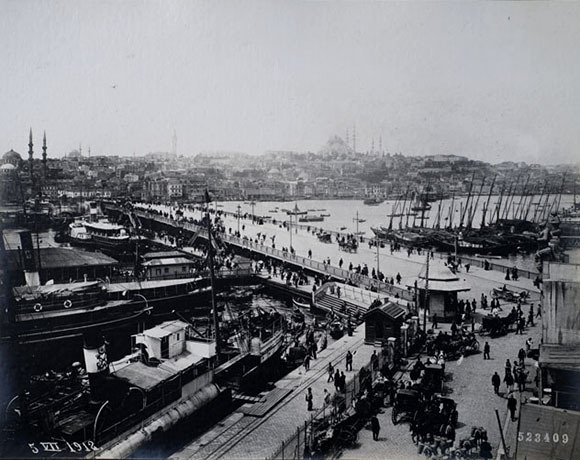 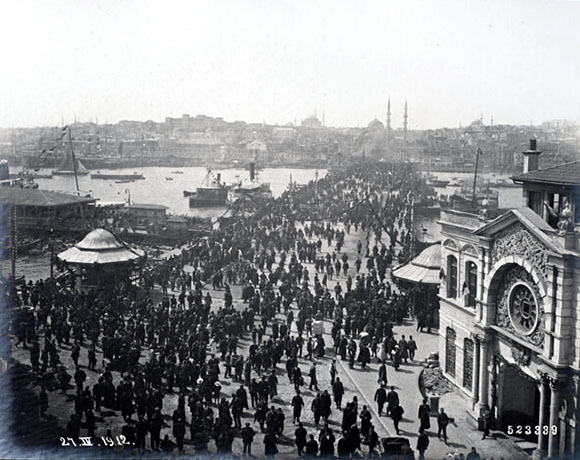 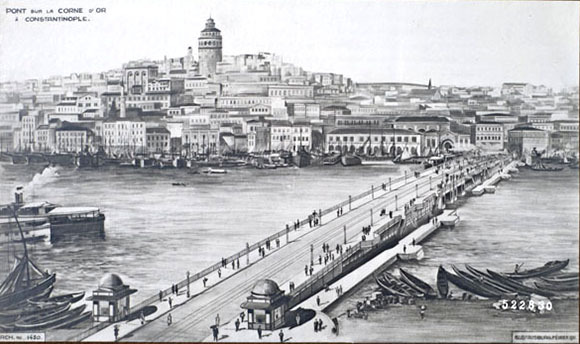 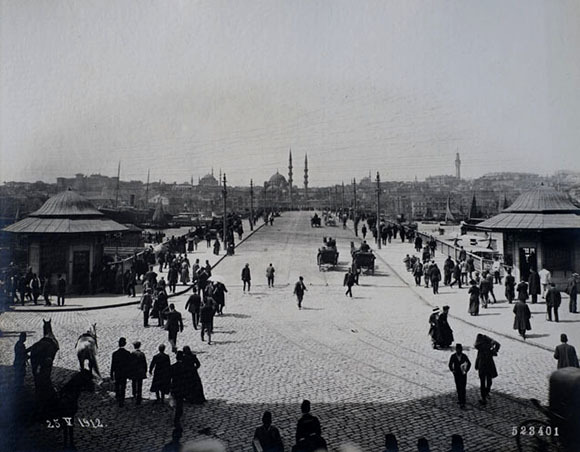 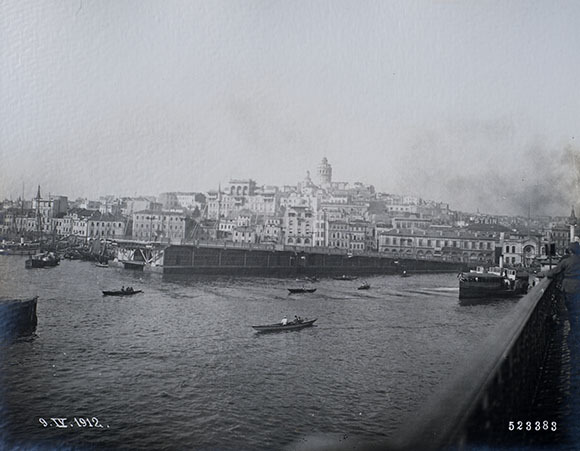 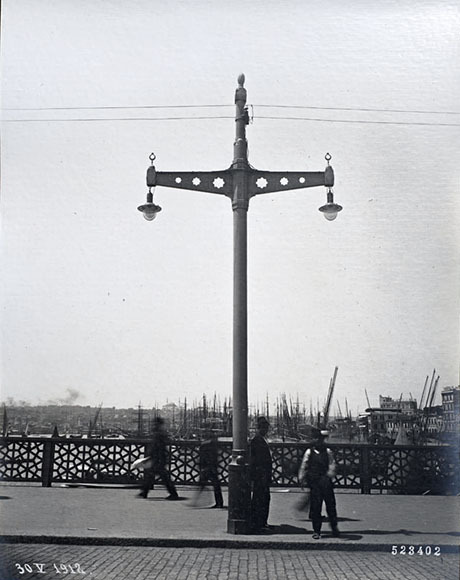 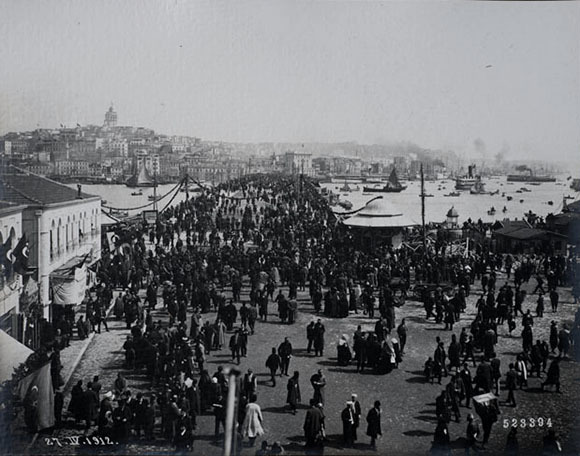 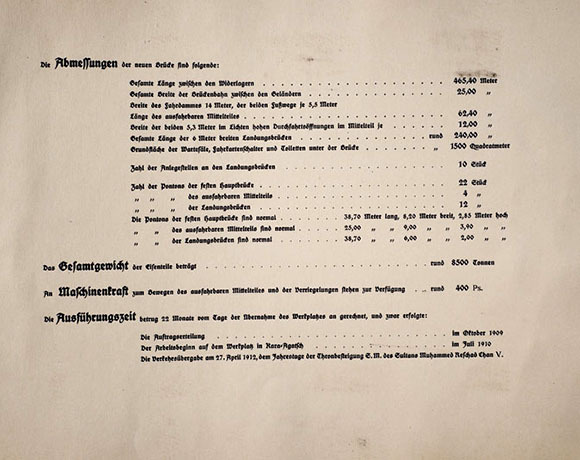 The new Galata Bridge, built by the German firm Hüttenwerk Oberhausen AG, was completed in 1912. 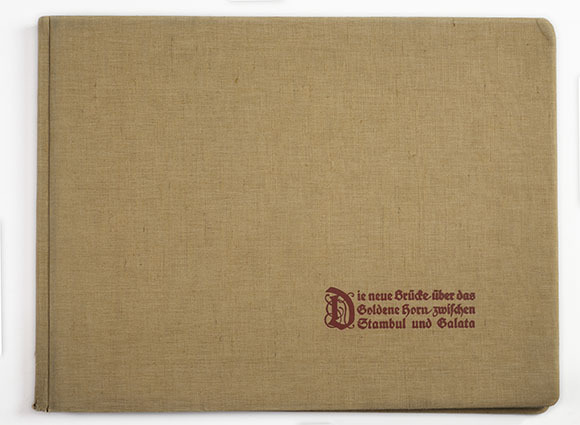 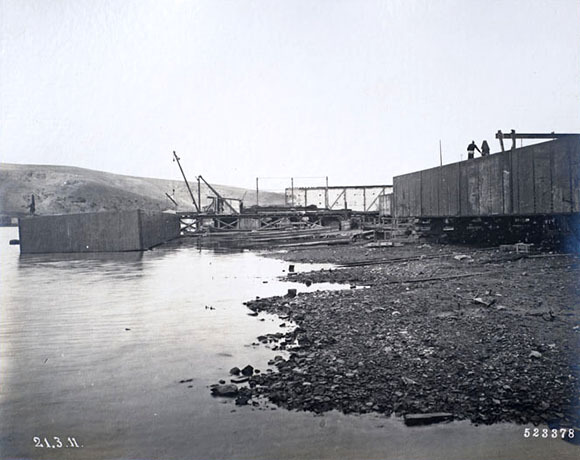 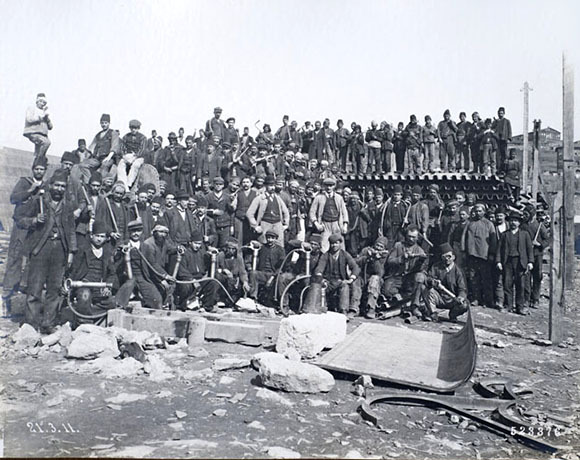 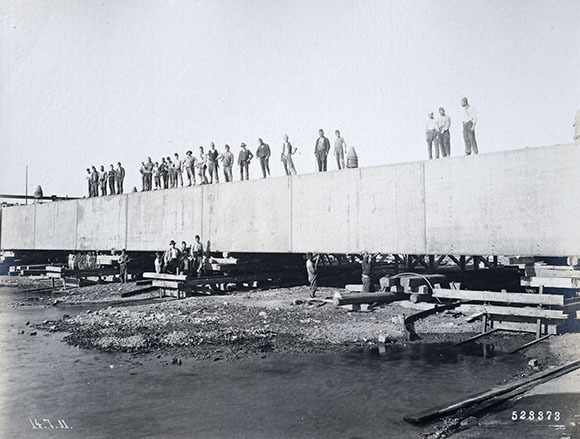 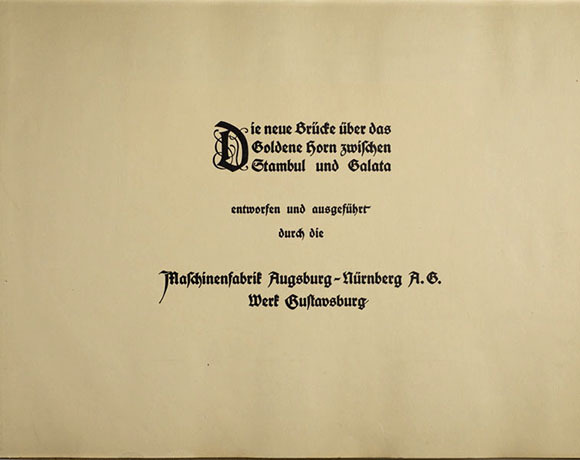 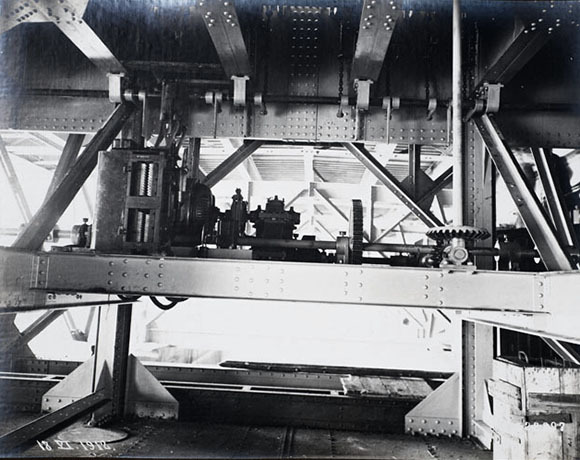 This album records the construction process, the opening ceremonies, and the early days of the impressive structure, which replaced an earlier bridge from 1875. 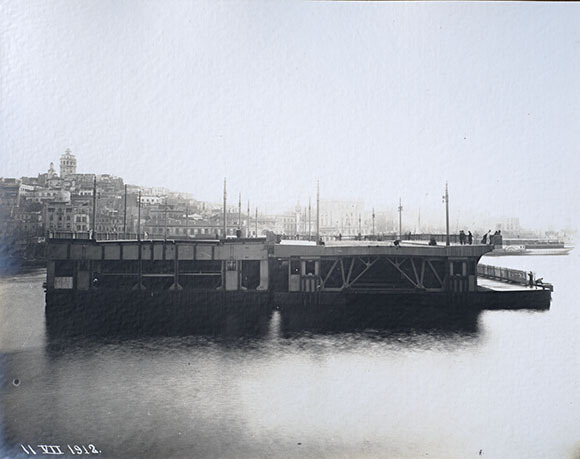 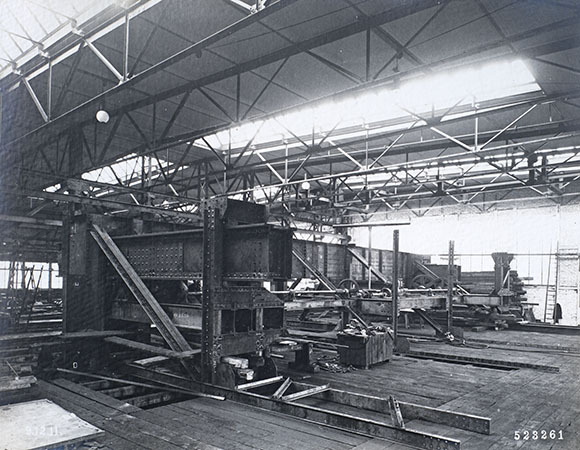 The photographs display the bridge in all its glory, highlighting its engineering might and aesthetics, but also depict its immediate environment—that is, the quays and the squares at its ends, as well as the multiple views it offers.